The Brunswick Crown Deluxe Double Tote/Roller is the perfect bag for the tournament players and people that are always on the go! 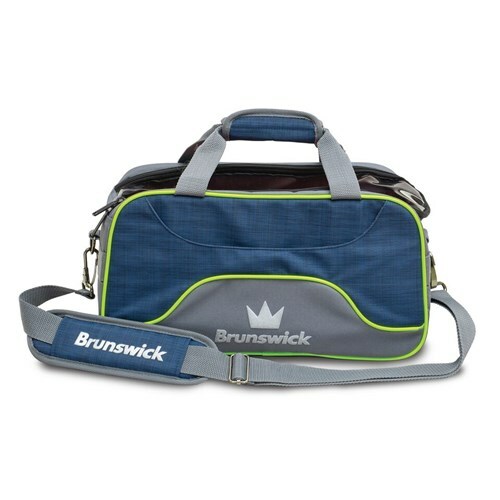 Get your Brunswick Crown Double Tote today for your on the go needs! Due to the time it takes to produce the Brunswick Crown Deluxe Double Tote Navy/Lime ball it will ship in immediately. We cannot ship this ball outside the United States.